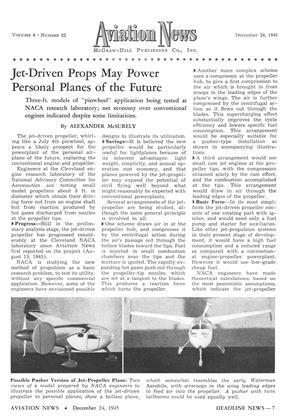 Loening cites personal plane gains but calls for more technical development to achieve demands of public. 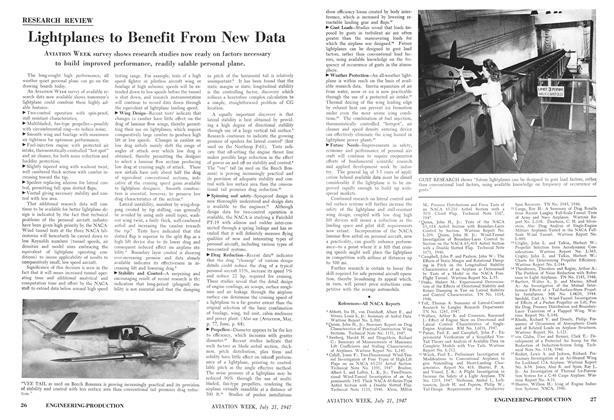 AVIATION WEEK survey shows research studies now ready on factors necessary to build improved performance, readily salable personal plane. 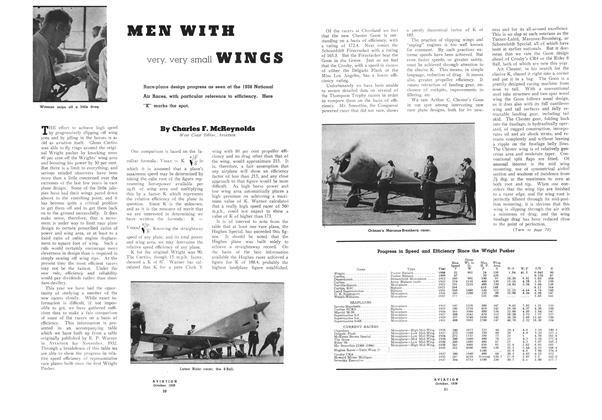 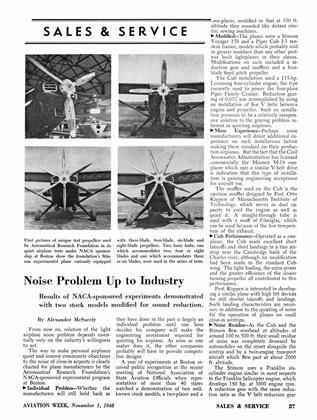 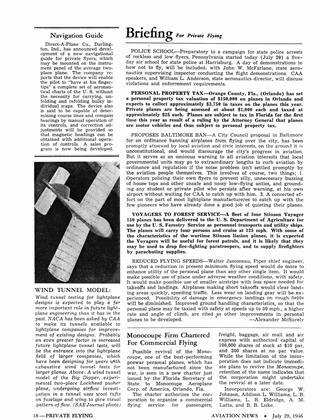 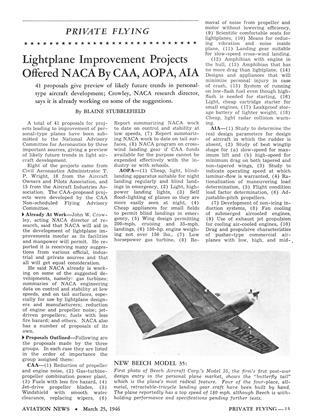 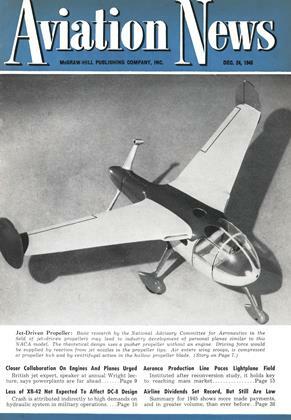 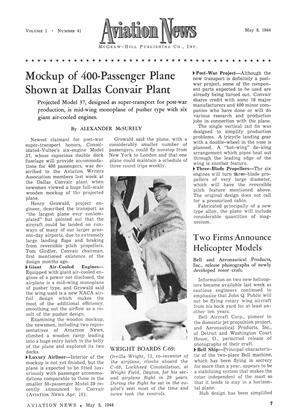 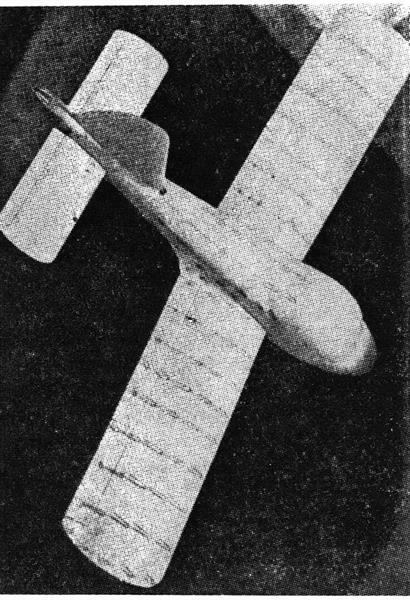 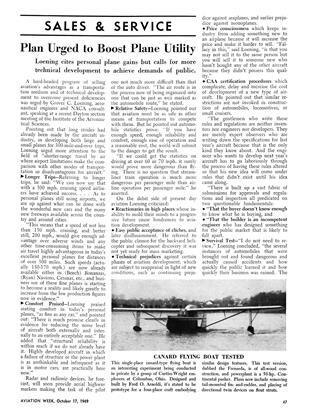 DEC. 24, 1945 P. 7, 8 Possible Pusher Version of Jet-Propeller Plane: Two views of a model prepared by NACA engineers to illustrate the possible application of the jet-driven propeller to personal planes, show a tailless plane, which somewhat resembles the early Waterman Aerobile, with airscoops in the wing leading edges to feed air into the propeller. 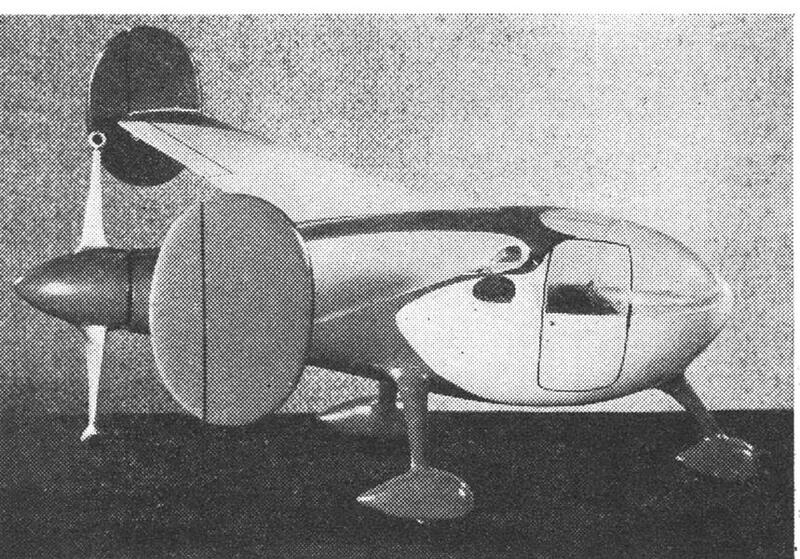 A pusher with twin tailbooms could be used equally well.